Facebook has finally brought Messenger Lite to India. As the name would suggest, this version of Facebook’s messaging service is aimed at devices with low-end hardware and places with slower internet speeds. The company notes that the service offers the same basic set of functions as Messenger. So users would still be able to send and receive text, photos, links, emojis and stickers, but the whole app is under 10MB in size. It also comes with support for voice calls. 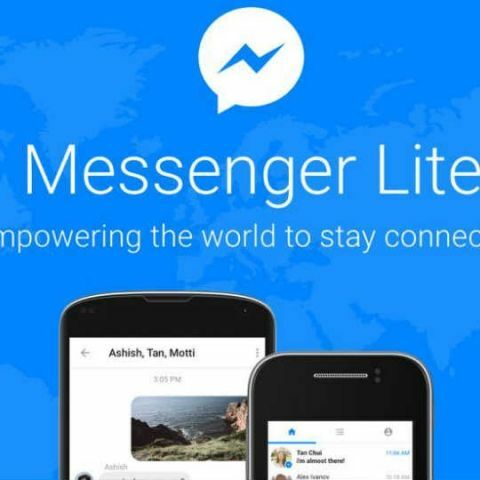 “Messenger Lite is a solution for people who don’t have the latest smartphone, but still want to stay connected to their friends and family,” the company said in a statement. Facebook unveiled the app back in October last year and was initially available to users in Kenya, Malaysia, Sri Lanka, Tunisia and Venezuela. Then in April this year, the app was released to 150 additional countries like Vietnam. Japan, Germany, Italy and more, but not India. Back in April, the company announced that Messenger had grow to 1.2 billion monthly active users (MAU). By comparison, the service has 800 million MAUs in January and 1 billion MAUs in July. A couple of days back, Facebook had announced that it was expanding the beta test of Messenger ads globally. This means that users may soon start seeing advertisements on the home tab of the Messenger mobile app. Advertisers will be able to add Messenger to campaigns using the Traffic and conversation objectives. Additional options like App Installs objectives will be added soon. It is not yet known if these advertisements will be supported on Messenger Lite.